Gujarat Co-operative Milk Marketing Federation Limited (GCMMF) is back in news with the launch of Camel Milk. On 23rd January 2018, GCMMF launched Camel Milk in few selected cities of gujarat. The milk will be available in a 500ml PET bottle priced at Rs. 50. This milk needs to be kept in refirdgerator and will have a shelf life of only 3 days. Research studies has clearly suggestted that camel milk has more number of benefits over cow milk.Camel milk is high in insuline and it is easy to digest and suitable for diabetic patients. The only problem with this milk is its shelf life. The shelf life of the milk is less than 3 days. Hence, till date, no company has dare to launch camel milk in the market. 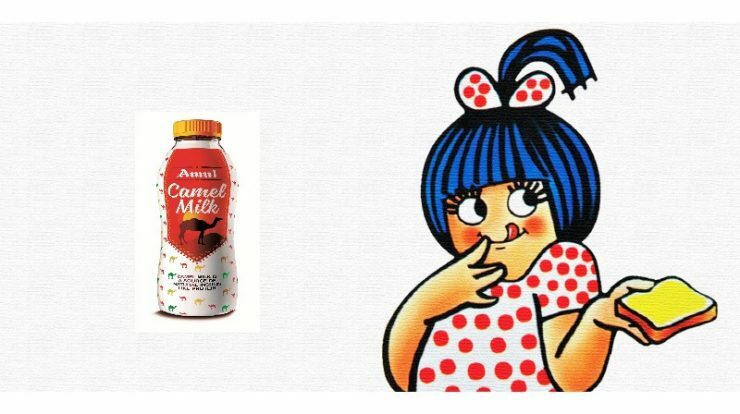 This milk will be launched under the brand name of ‘Amul‘ and currently it will be available in Ahmedabad, Kutch and Gandhinagar market. Accordding to GCMMF, they got a good response for camel milk chocolates launched in year 2017 and as a resut of which they have decided to launched camel milk this year. With this launch, GCMMF has become the first company to launch camel milk in the world. This is really a proud moment for us. What do you think about this launch? Please do not forget to share your valuable thoughts in below comment box. Further, if you have used this camel milk then please do not forget to share your feedback with us. Please let us know how this camel milk was in taste?